Dedicated to grape lovers, ‘FEEL GORGEOUS AT GRAPESKIN’ will take place every Wednesday as of 5th July. 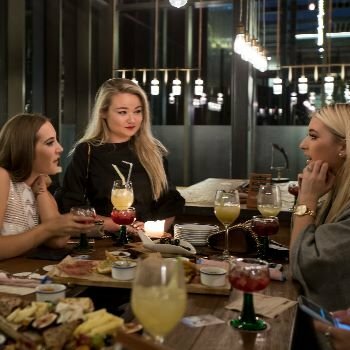 Ladies can enjoy two complimentary glasses of grape alongside a shared cheese board, from 8-11pm; after this, selected drinks are just AED 25 each. Adding to Dubai’s trendy bar scene, Grapeskin is one of the few specialised grape bars in the city, fully stocked with an extensive selection handpicked from around the world. A bright open space, complete with industrial furnishings and an outdoor terrace, it is a buzzing social hangout with an inviting laid back approach, nestled within the serene hotel courtyard. Director of Beverages and well-respected drinks expert Juan Van Huyssteen invites guests to take a journey through some of the finest vineyards that there are, without ever having to leave Dubai. Juan and his team look forward to sharing their knowledge, encouraging grape lovers to experiment with new tastes and regions, truly offering a ladies night with a difference!